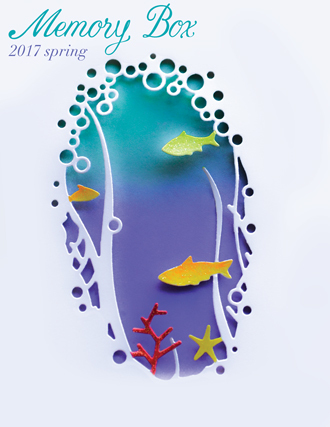 I was inspired by the Wonderful Whale Frame to create an ocean scene card to send to my son and his family. They have just confirmed a trip to Maine this summer and we'll be staying in a coastal town, with views much like this one. 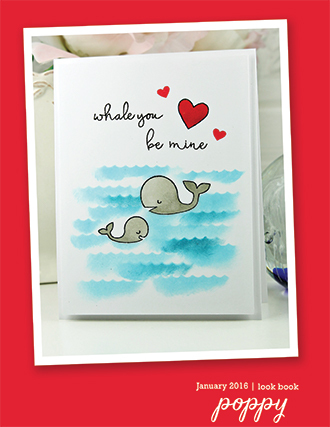 Cut the Wonderful Whale Frame twice, once from the blue cardstock and once from the white cardstock. Layers the pieces together using a glue pen, offsetting them a bit for a blue shadow behind the white frame and the waves. Adhere this to the front of the notecard, near the top. Cut the Oceanside Lighthouse and Waves from white cardstock. Cut the lighthouse again from the scrap of yellow cardstock. 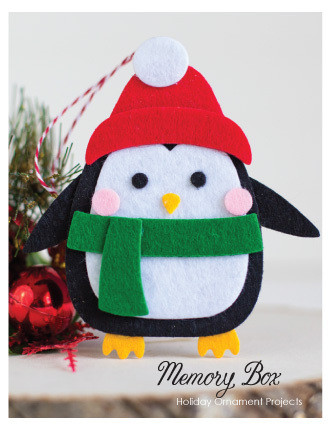 Place this piece behind the white one for lights in the windows. Cut the waves again from the same blue cardstock used before. Glue these behind the white waves, offsetting them a bit. Add the lighthouse and the waves to the scene. 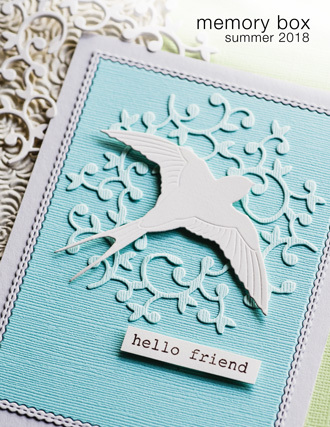 Cut the Soaring Swallow from white cardstock. 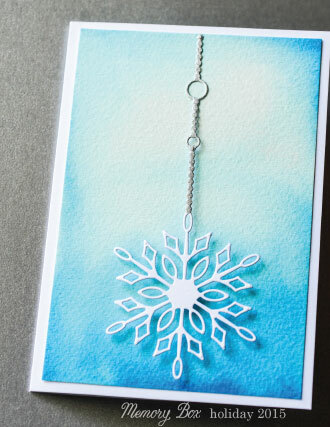 Secure it to the card using a foam pop-dot. 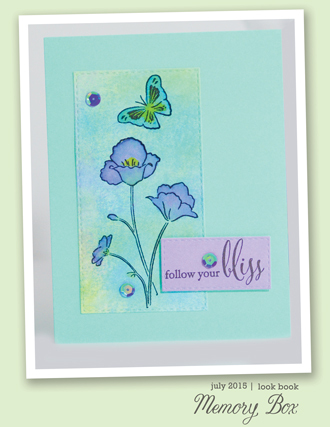 Stamp the sentiment "sending oceans of love" using the Hero Arts Cornflower ink. 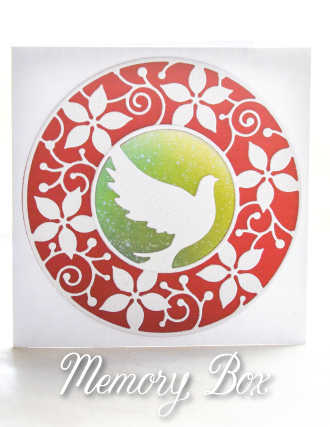 This scene was so much fun to create, combining new dies and stamps with the older lighthouse/waves die. Hmmm...this gets me thinking about creating more scenes representative of places I've been. 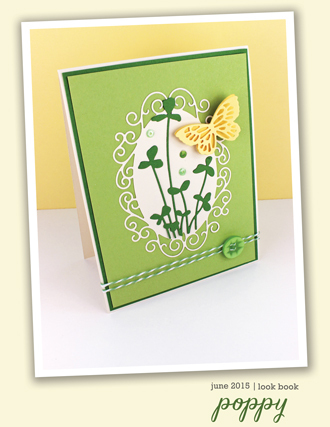 I decided this week to make some cards for St. Patrick's Day. 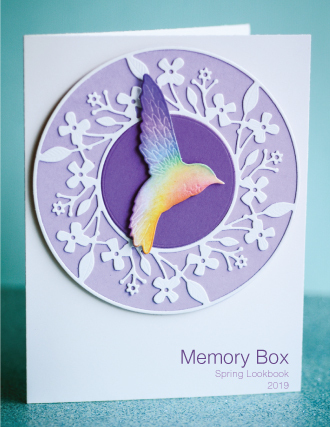 In going through the newest 2019 Spring Collection, I settled on the COTTAGE FLOWER CIRCLE FRAME die 94242 as the focal image for my cards. Those little flowers made me think of four-leaf clovers, though I ended up treating them as blossoms. 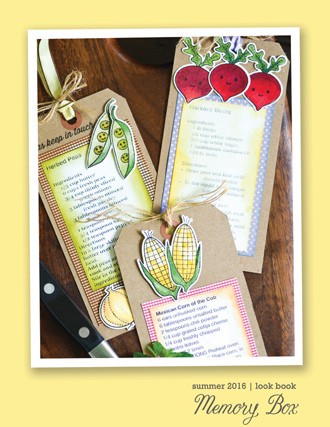 All three cards are the same design with just a change in notecard colors, papers, and bows. 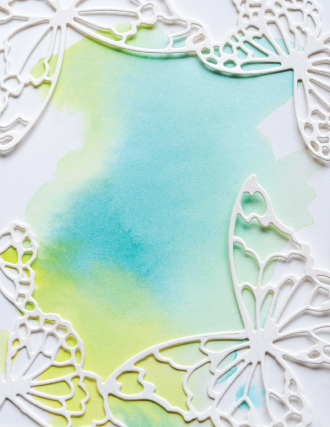 I LOVE all of the frame dies in this new collection!!! So much fun to think of ways to use them! I recently made several valentines using the SCROLLWORK HEART CIRCLE FRAME die 94114, another of my favorite dies from the Valentine's Collection 2019. 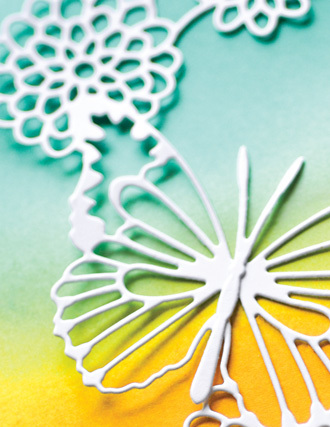 These cards became quite three-dimensional when I started adding paper flowers. Guess these will have to go into the gift bags with valentine goodies rather than mailing them! 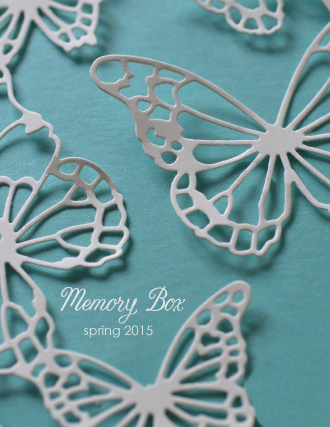 I began with a white side-folded notecard and covered the front with Memory Box Gingham paper. I cut the Scrollwork Heart Circle Frame from white cardstock. I used a glue pen to attach the heart circle first and then the pinpoint circle around it. I added tiny pearls in the oval bases between the leaf shapes. I then found a pink paper rose, some white stamens, and a pretty pink satin bow to add to the center of the circle. On the left panel inside the card I covered it with more of the gingham paper. I used a glue pen to add the extra circle, one of the heart stems, and a single heart which all came from the Scrollwork Heart Circle Frame die cuts. On the righthand panel I added a piece of decorative paper and stamped "Love" from the Birch Press Design SENDING LOVE CL8126 clear stamps set. 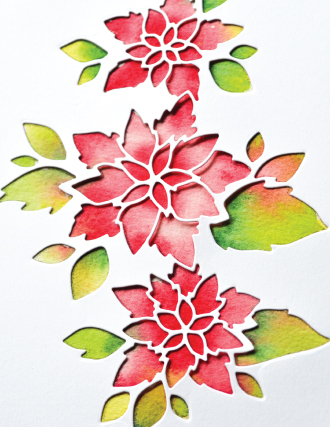 I used a pale pink textured paper for the die cutting. For this card I added miniature pink paper roses between each of the hearts in the circle and a cluster of three in the very center. I then put tiny pearls in each of the hearts. 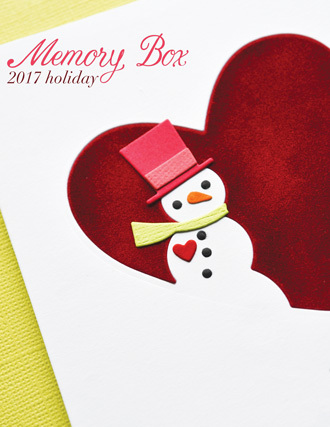 On the left panel inside the card, you can see that I had some fun adding elements that cut from the die--the solid circle, both heart stems, and the six hearts. This time I made my card base from a textured pink paper and cut it 4 X 4 1/4. 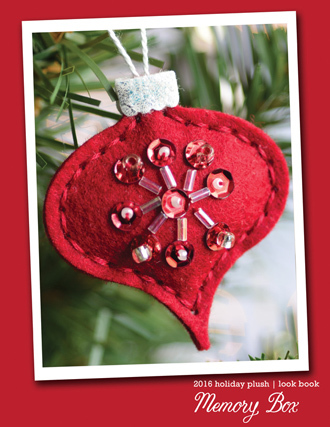 I cut the die using a darker pink cardstock and placed the center heart circle on the front of the card. I added some tiny pearls at the base of the design between each of the hearts, though they are hard to see because of so much foliage in the center. I added a rose print paper on the left panel and more of the gingham paper on the right. To finish the inside I added the two heart stems in opposite corners. This card could then be either a top-fold card or a side-fold card. 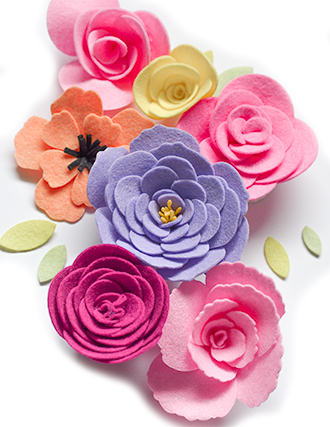 I love that the Scrollwork Heart Circle Frame gives me spaces to add some paper flowers. I have soooo many in my stash! And they are the perfect touch, along with the pearls, for really sweet valentines. 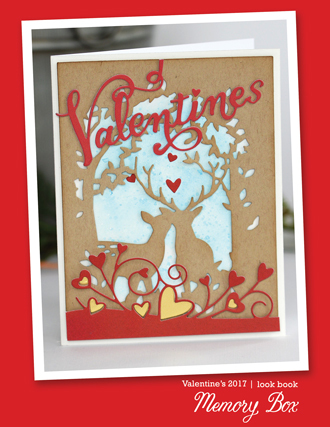 Here's a lovely valentine using the Pinpoint Heart Circle Frame. 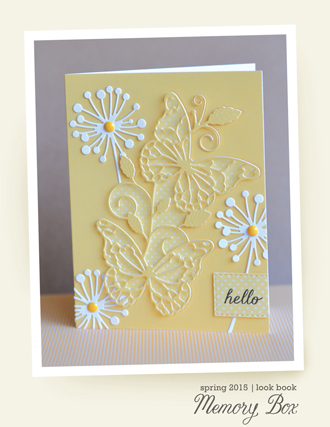 I started with a standard A2 white card, side-folded. 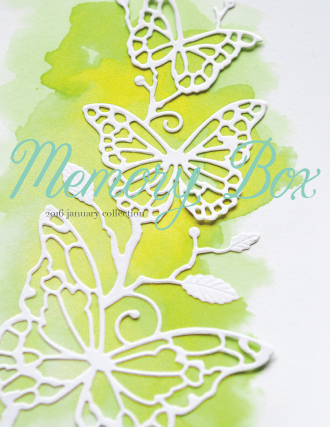 I covered the front of the card and both inside panels with Memory Box Gingham paper. 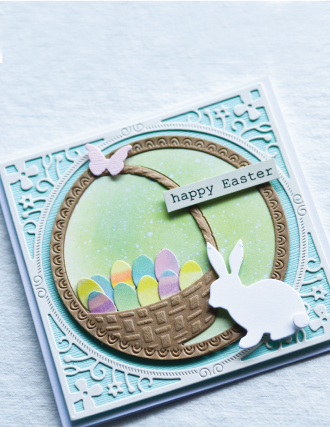 I cut the PINPOINT HEART CIRCLE FRAME die 94106 from white cardstock. 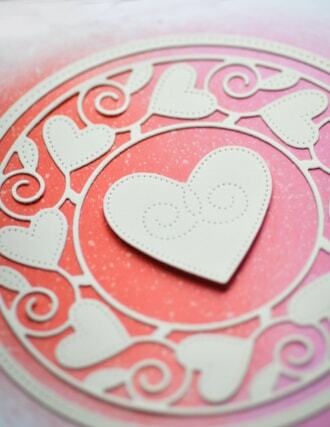 I used glue dots under the hearts to secure that inner circle to the card front. I then used a glue pen to add the larger pinpoint circle, touching the bases of the two circles. I placed a bow at that spot. I put tiny pearls at the ends of the spiral vines. 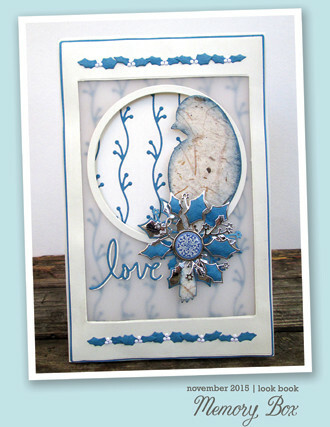 I stamped "Love" from the Birch Press Design SENDING LOVE CL8126 stamp set inside the circle using VersaClair Pine ink. 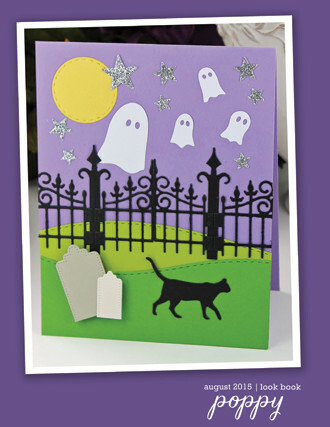 I used a glue pen to add the plain circle from the die cuts to the right panel where I plan to write a message. I put a foam dot on the back of the larger pinpoint heart (which cuts from the center of the circle) and overlapped the circle with it. 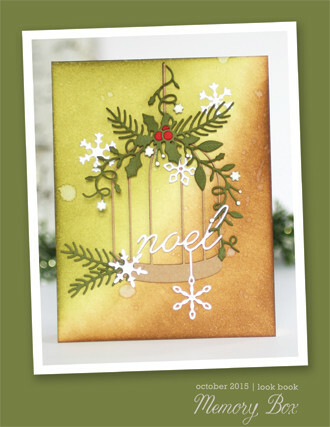 Simple, sweet card using one stamp and one die! 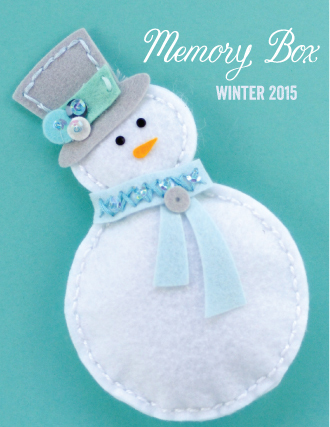 And the first card sample is ready for my class at the senior center next week! 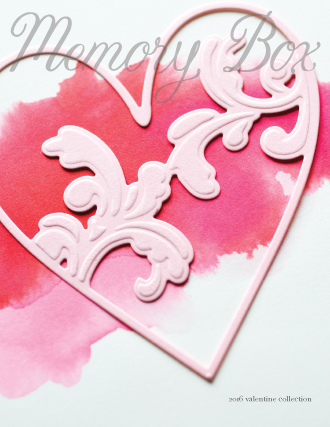 With all of the new stamps and dies available in the latest release, making valentines is so much fun! Have you started yours yet? 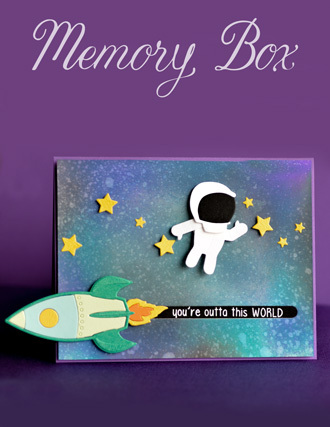 Welcome to the second day of our Blog Blitz celebrating all things LOVE with the newest Memory Box Collection to kick off 2019. 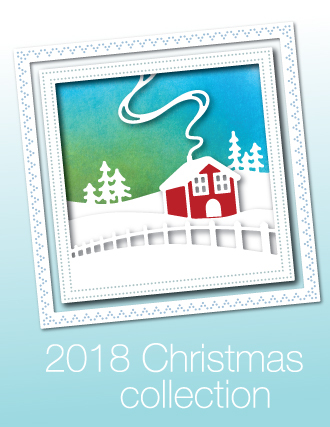 After the holidays in December, I find that I always need more thank you cards than I have prepared. Luckily for me the 2019 valentines dies and clear stamps arrived just in time to create something new! 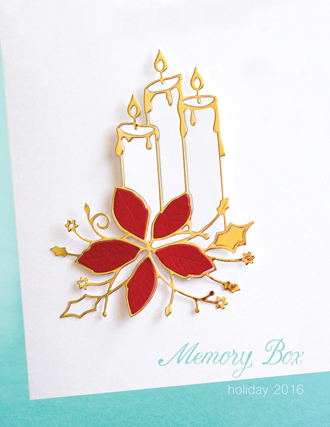 Today's cards features these dies and stamps. 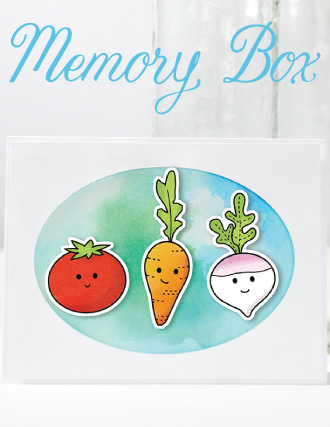 This first card is 4" X 4". I cut down an A2 card to fit the 4" square die cut and the 4" square of Bubblegum Distressed Dot paper under it. 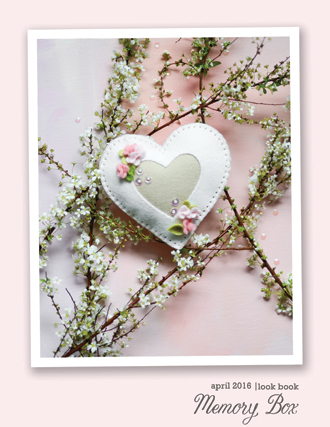 I snipped the prongs off a pink glittery heart brad and attached it with a foam dot over the heart space in the trees. I cut the background outline "thanks" from more of the Bubblegum paper and used a glue pen to add the narrower "thanks" from the same brown cardstock I used for the Woodland Heart Frame before gluing the sentiment over the trees circle. 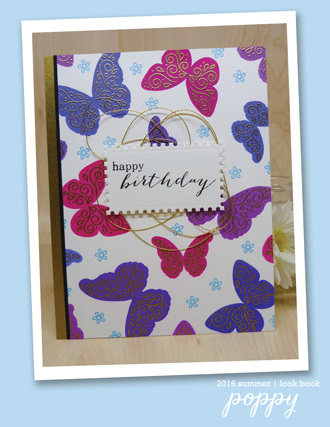 And then I did something different with the inside of the card using the Heart Sprinkles die. 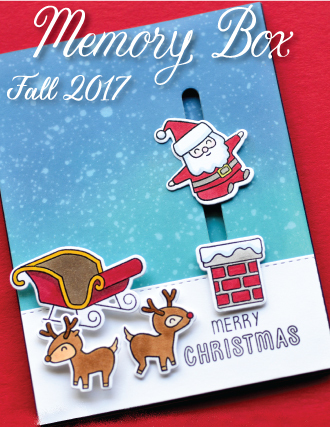 I thought it might be a fun twist to use this die to cut the inside of the card where I will write a message on more of the Bubblegum paper. 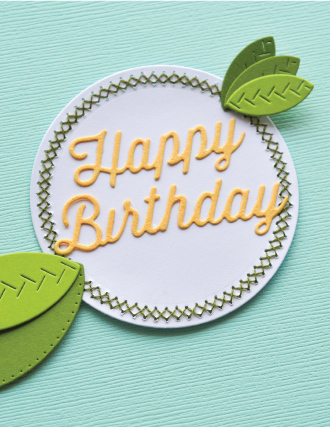 I've often added die cuts to the inside of cards but this is the first time I actually cut a design into the inside of the card itself. 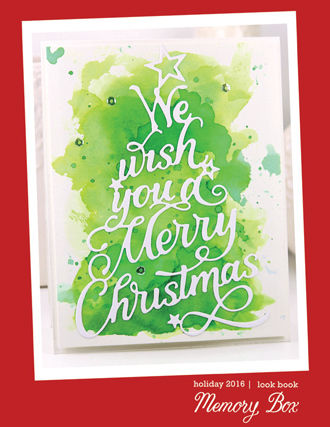 I used red and white dotted paper (single-sided) to back that panel (which then left white space on the back of the card for more room to write) and added a 4" square scrap patterned paper on the left panel. 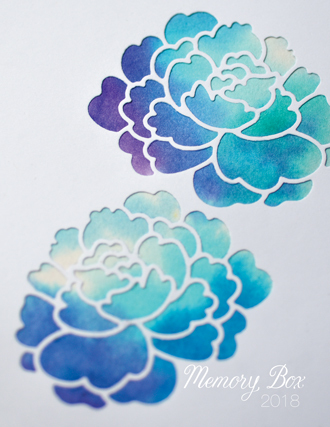 I then stamped "Love" in VersaClair Pinecone ink. 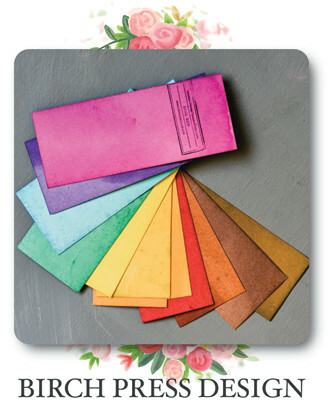 I saved all of the tiny hearts that cut out and may enclose them as a kind of confetti inside the card when I mail it. 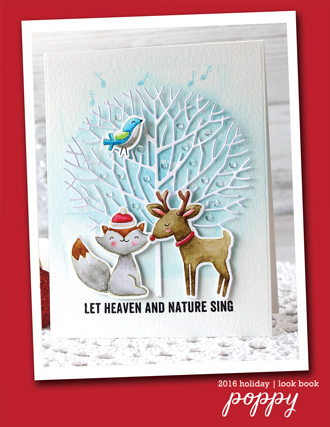 For this second card I used just the inside circle from the Woodland Heart Frame, cut from white cardstock, and mounted on a panel of Cranberry Distressed Dots paper. Again I added a pink glittery heart brad and the "thanks" sentiment cut from the two papers. I had a little difficulty with this third card. As I was poking out the last tiny pieces from the square frame I tore one of the corners. Rather than sacrificing the whole thing, I cut the frame in half and glued it to the 4" X 5 1/4" Bubblegum dot paper panel. I added the inner tree circle under it. 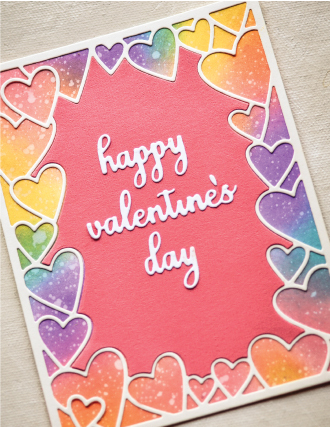 I had a white die cut heart left from the last card which I colored with a hot pink Tombow marker before gluing it into the heart space. 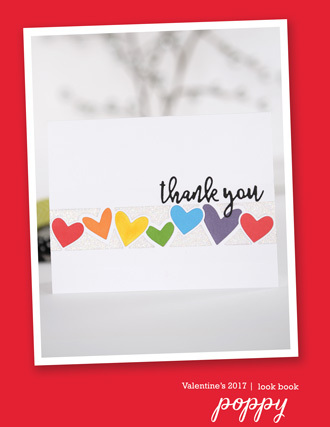 I added "Sending thanks" as the stamped sentiment using VersaClair Pinecone ink. On the inside I layered a piece of Bubblegum dot paper onto more of the brown cardstock and stamped "Love" in the lower right corner. Once I photographed everything I sat down on New Year's Day to write my thank you notes in order to post them on the 2nd. 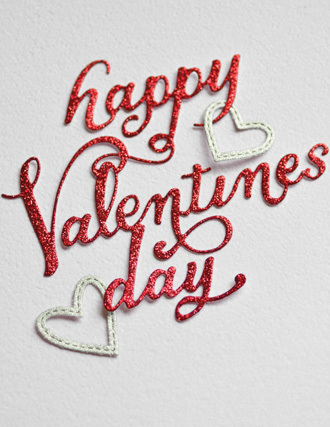 My next task is to design some valentine cards for a workshop later this month at my town's senior center. 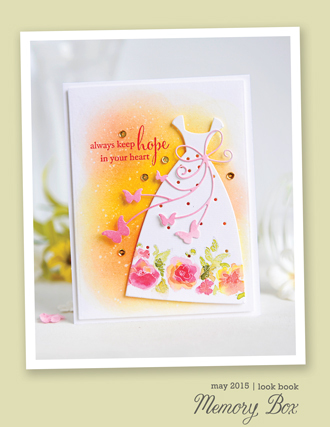 With so many new stamps and dies in the valentines release, that will be fun!!! 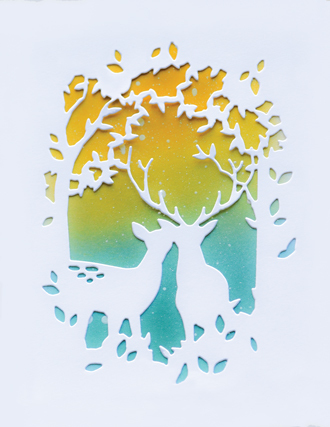 Please leave your comments on this post and you could be the winner of the WOODLAND HEART FRAME DIE! 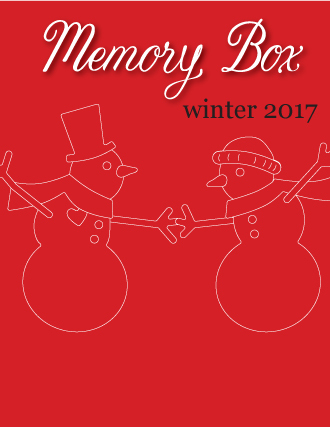 Comments close at 11:59 PM on Sunday, January 13, 2019 and winners from each day of the Blog Blitz will be announced on Monday the 14th on the Outside the Box blog at 6 PM. Be sure to check all of the posts this week and leave comments for chances to win prizes!